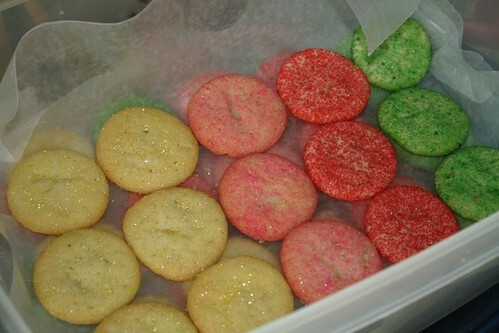 I found this recipe (called Sugar Cookies X) at allrecipes.com in November of 2000, and I’ve been making it ever since. They are sugary and crispy delicious. 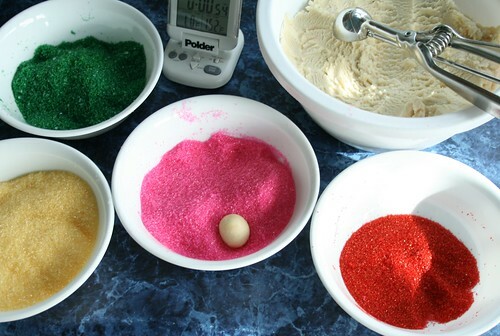 Mix the dry ingredients together and add them to the creamed mixture, stirring to combine well. Chill the dough an hour. 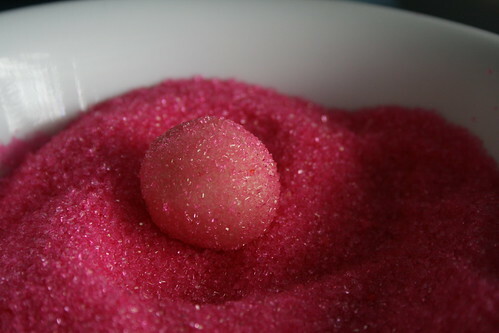 Form the dough into small balls and roll in sanding sugar. 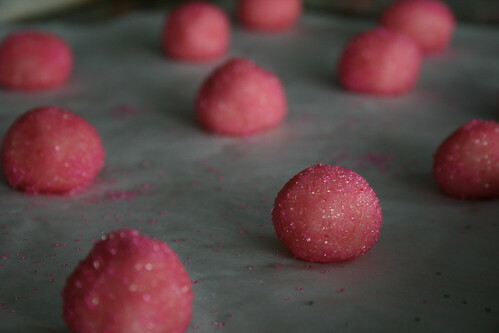 Place them on a cookie sheet lined with parchment paper. Place 15 cookies to a sheet, as they do spread. Bake at 350*F for 8-10 minutes. Cool on wire rack. 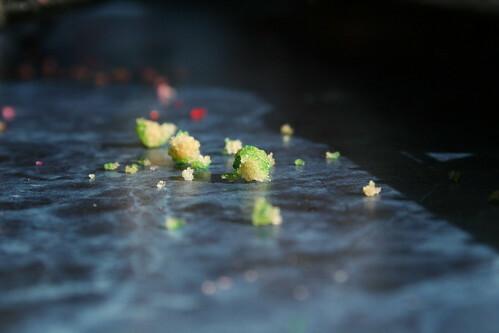 I store them in single layers, in plastic containers, between waxed paper sheets. 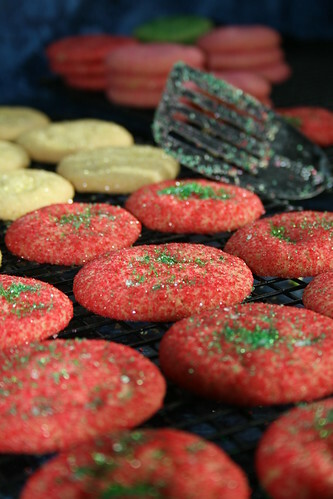 PS: a note from baking these in 2012…if you sprinkle extra sugar on top the cookie after baking, while the cookie is still hot from the oven, the sugar will stick and make the cookie even prettier. 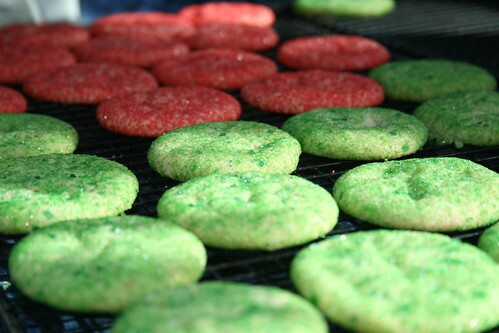 This entry was written by ~~Rhonda, posted on November 13, 2009 at 8:18 pm, filed under Christmas, cookies, Recipes and tagged Christmas, cookies, recipe, sugar cookie crisps. Bookmark the permalink. Follow any comments here with the RSS feed for this post. Post a comment or leave a trackback: Trackback URL.